Professor Seeger specializes in the integration of geospatial technologies, collaborative design technologies, crowd-sourcing (Public Participation GIS and Volunteered Geographic Information) and data visualization to develop local current datasets and indicators that can be used in the planning and design process. His current research includes the utilization of crowdsourcing technologies to document and model the built environment for the purpose of creating healthy, sustainable communities that include safe routes to schools, connected trail systems, and environments/programs that promote healthy lifestyles. In addition to this research, Professor Seeger leads the development of the ISU Extension and Outreach Indicators Program. This program aims to provide community demographic, health and economic data resources to the public and local decision makers. Professor Seeger teaches an Introduction the Web Mapping and an Introduction to GIS as online courses inthe College of Design. 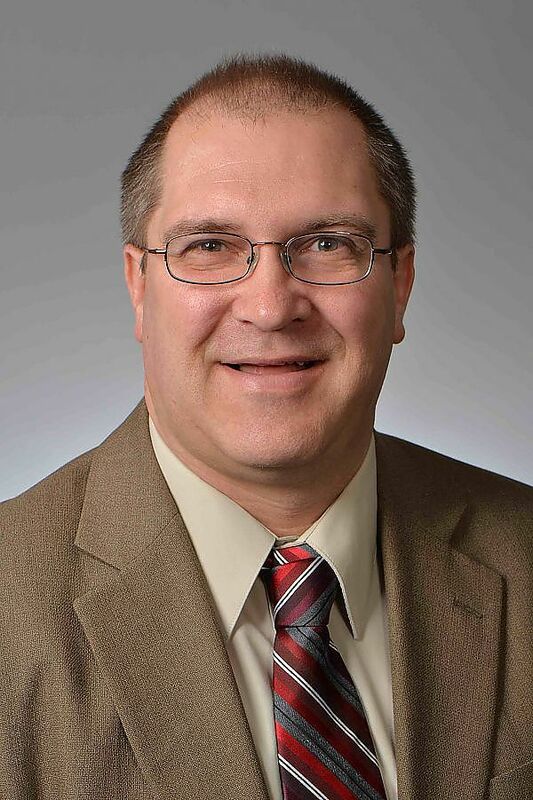 He also co-leads the ISU Extension and Outreach Geospatial Technology Program which provide GIS workshops and publishes monthly Tasksheets on geospatial and technology related topics. "Mapping Safe Routes to School and Identifying Barriers"
Online mapping tool that allows schools to survey the routes used by kids to get to school and tehn collectively map this information so it can be used to create a more accurate SRTS plan. Kent Park located in Johnson County provides over 100 campsites for RVs. However the site has very steep terrain and several of the sites suffer from severe slope. This project is providing 3D visualization showing how the campground can be improved. Fewer than 40% of Americans get the recommended amount of physical activity in their daily lives. This has prompted increased interest in the built environment’s effect on physical activity levels of the population. However, little research has been done relating vegetation patterns to outdoor recreation preferences. This study will track three population groups who regularly walk or run and will monitor their activity using GPS technology to determine their preference for routes along vegetated areas . Findings from this study will inform elected officials, planners and recreation designers about the role of the urban forest in promoting physical activity and healthier residents.